ETY-Plugs are the world's highest fidelity non-custom earplugs. They reduce most noise to safe levels while preserving the clarity of speech and the richness of music. Hearing loss from exposure to loud sound affects millions of people. Noise-induced hearing loss is preventable. And it's easy to prevent. ETY-Plugs were developed to provide low cost, one-size-fits-most high fidelity earplugs that can be used in a variety of noisy environments. The goal of the ETY-Plugs design was the same as Etymotic's famous Musicans Earplugs: to reduce noise but preserve sound quality; in effect, to turn down the noise but not muffle voices, environmental sounds, or music. These high-fidelity earplugs are effective or anyone who needs to hear accurately in noise: attendees at concerts, clubs, other loud performance venues; aircraft personnel; construction workers; industrial workers; medical/dental workers; workers in environments with loud music such as concert halls, nightclubs or bars; emergency vehicle personnel; athletes; participants in motor sports; truck drivers. Each purchase includes high fidelity earplugs, black cord, carrying case, and instructions. Easy to carry in your purse, backpack or pocket. Available in standard size for smaller ear canals or large size for larger ear canals. Noise-induced hearing loss is cumulative and irreversible. It is also completely preventable. We are constantly bombarded by unsafe noise levels in our daily lives. A recent study by the World Health Organization found over a billion young people are at risk of noise-induced hearing damage. Regular use of ETY-Plugs helps protect you from the lifelong effects of over exposure to loud sounds. ETY-Plugs use a proprietary tuned resonator and acoustic resistor to replicate the natural response of the ear canal. Sound is reproduced unchanged, as the ear would hear it, only quieter. 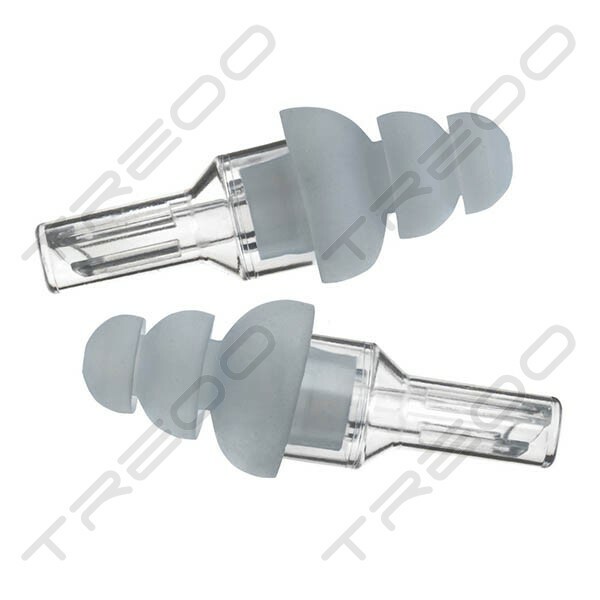 Standard foam earplugs reduce mid-range and high frequencies resulting in muffled speech and music. ETY-Plugs reduce sound levels evenly, preserving clarity of speech and communication, and richness of music. ETY-Plugs are available in 2 sizes, standard and large. Each yield approximately 20dB sound reduction when worn properly. Standard fits the majority of users. Where to use hearing protection?